Great news for Indian Nationals! 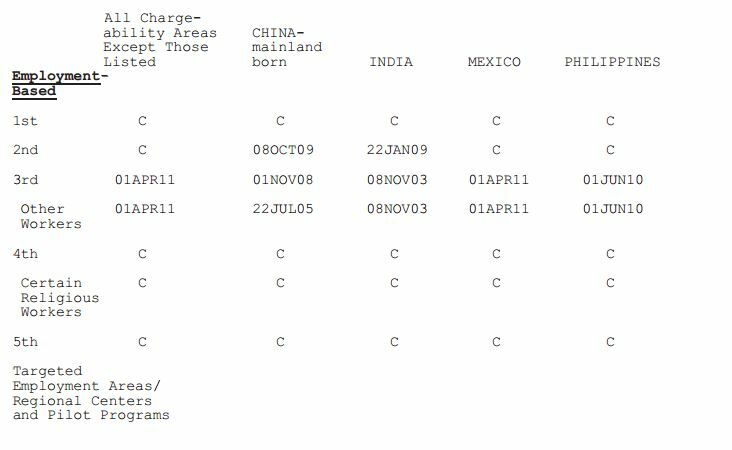 The United States Department of State Bureau of Consular Affairs recently released the August Visa Bulletin which summarizes the availability of immigrant visas for the month of August for family-based and employment-based visa preferences. According to Section 201 of the Immigration and Nationality Act (INA) the allotted number of employment based visas is set to at least 140,000 visas for the worldwide level. The Visa Bulletin for August indicates that the second preference EB-2 employment-based category for India has advanced by 5 years when compared to the Visa Bulletin in the recent year. The advancement of the employment based second preference EB-2 category provides Indian nationals whose Form I-140 Immigrant Petition for Alien Worker was approved and whose priority dates fall before January 22nd of 2009, with the opportunity to apply for their green cards beginning August 2014. For priority dates related to family sponsored preferences and diversity immigrant categories please click here to read the August Visa Bulletin. For legal questions please contact our office and we would be happy to help.